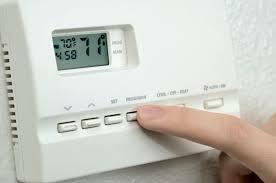 Keep Warm in Massachusetts: Need help paying your heating bills? Winters are harsh! You work hard. Heat is expensive. The cost of staying safe and warm can be too much. There is help available to pay your heating bills through the Low Income Home Energy Assistance Program (LIHEAP or commonly referred to as Fuel Assistance). LIHEAP provides eligible households with help in paying a portion of their winter heating bills. Currently, the program is funded by the federal government through the Office of Community Services (OCS), Division of Energy Assistance (DEA). The program is managed by the MA Department of Housing and Community Development (DHCD) in conjunction with over 20 Community Action Agencies, other regional non-profits and local government agencies. This fuel assistance program is a critically important federally-funded initiative that help.to protect public health and safety by ensuring that lower income families and individuals have safe access to home heating fuels that will keep them warm in the winter. Homeowners and renters are eligible – including households whose cost of heat is included in the rent and not subsidized. At the fuel assistance agency in your area – Click here to find your agency. Eligibility is based on household size and the gross annual income of every household member, 18 years of age or older. 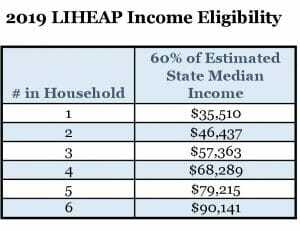 Household income cannot exceed 60% of estimated State Median Income. Click here for complete eligibility and benefit chart. If you are not sure, call your local agency. There are other funds available to help you save on heating costs. What other Cold Relief programs are available? There are also programs for Weatherization Assistance (WAP) to help reduce the energy costs in your home and for Heating System Repair and Replacement (HEARTWAP) to help with problems with your heating system. Your Fuel Assistance Application also serves as an application for the Weatherization program and the Heating System Repair and Replacement Program. The agency near you can help with you these programs as well. For more information about Cold Relief, call the Cold Relief Heatline 1-800-632-8175 or click here. MASS SAVE also provides help with energy costs and assessments. Need more help? Contact your Community Action Agency.